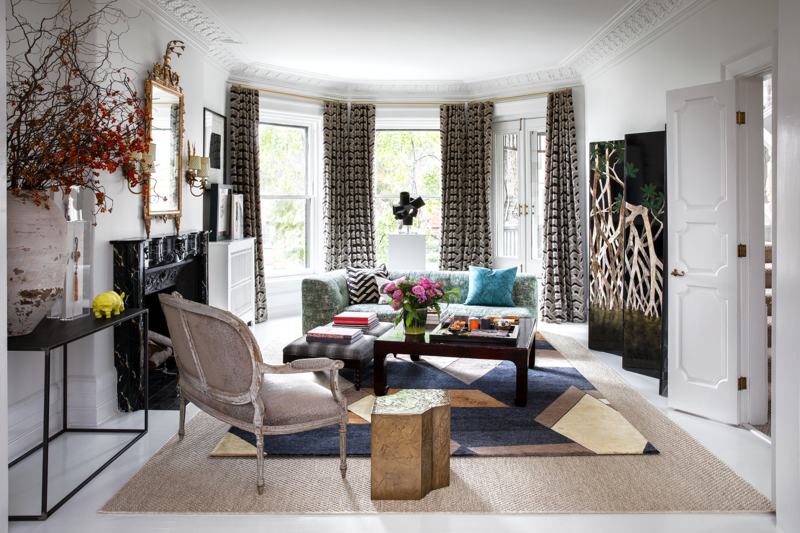 This month, our friends at Les Ensembliers are featured in an incredible spread in House Beautiful magazine, on the heels of their wonderful collaboration with Brunschwig & Fils for their first fabric collection. We wanted to know: what goes into preparing for such an exciting opportunity? 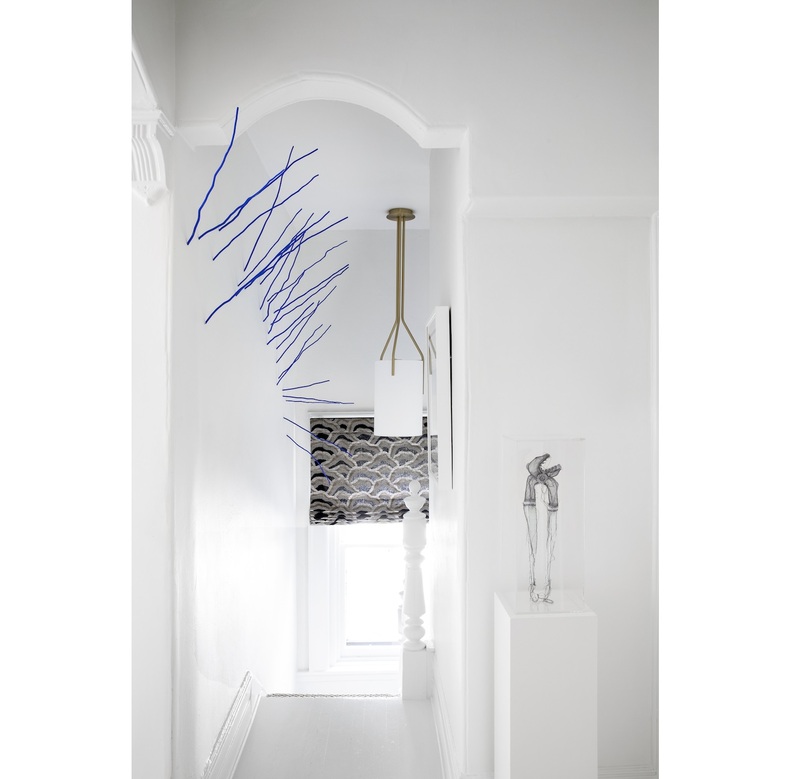 Design is in the details, and nobody knows that more than this Montreal-based design duo. So, we sat down with Les Ensembliers’ Richard Ouellette and Maxime Vandal to find out what they did to prep for this shoot! 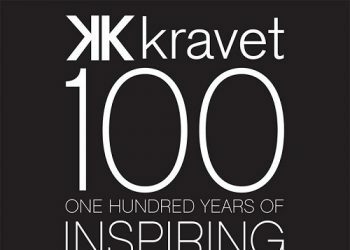 Kravet: When prepping for a magazine shoot, is there one thing you always keep in mind? Or do you let the rooms speak for themselves? Richard Ouellette: Editing is the most important thing to keep in mind while prepping for a shoot. A room in life does not function the same way as a photo. The perspective of the camera gives additional layers and clutter can easily come through in a photo. K: What goes into the process of staging each room for this kind of a photoshoot? RO: I always think: How is the camera lens going to capture any important angle in the room? How will the shot be impactful, curated and most importantly, editorial? It is always what keeps me up days before a shoot! I try to always get a perspective of the photographer and the right angles that capture best the essence of a room. What are the elements in the room that are of importance and how do they relate to each other from a perspective point of view. 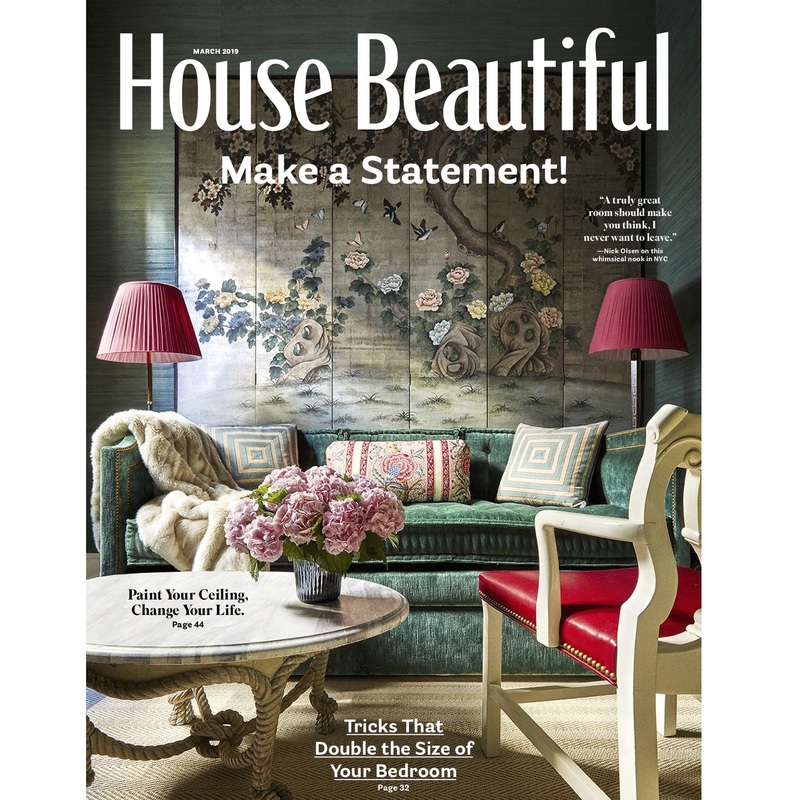 Photography by Paul Raeside for House Beautiful. When you look at the living room shot from the side, the fireplace is secondary, but does it feel centered in the room and does it balance well with the lacquer panels on the opposite side of the room. When we decorate we think of these elements in a room that live together. In a shoot, it’s the same thing but when you get behind the camera, will the two black elements facing each other feel overpowering to the shot or actually anchor and balance the whole picture…these are the other questions that keep me up at night before a shoot! Prepping the pillows, accessories decorative elements…it’s a world of editing, but also a quest for the perfect one. 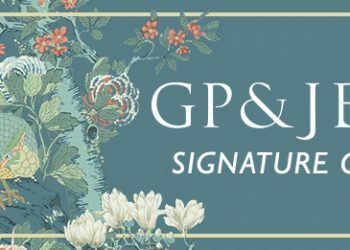 We have an inventory of pieces and accessories that have travelled with us over the years that make their way from one house to another and storage. 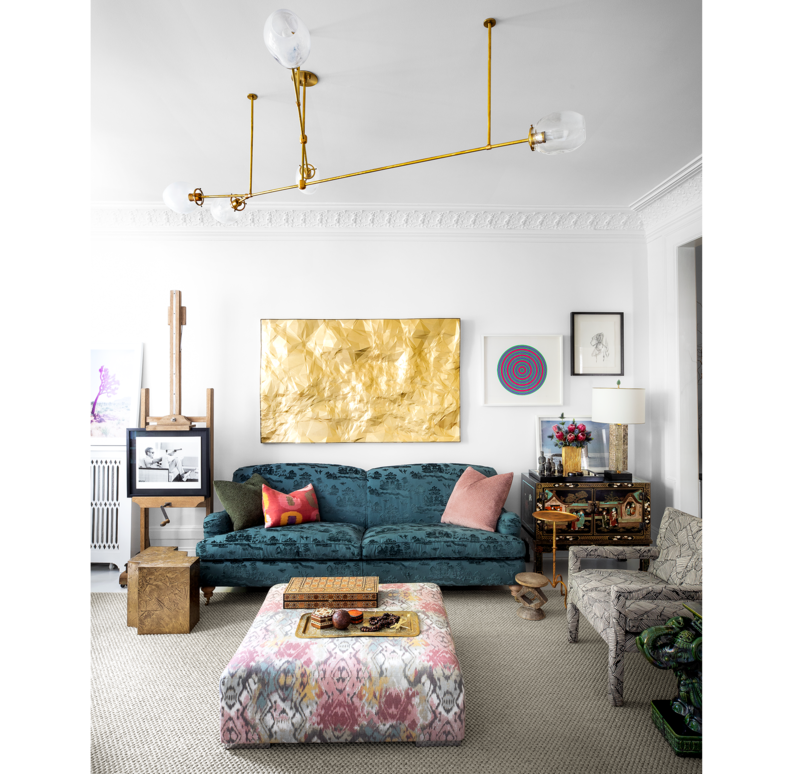 When prepping for a shoot, we get the lists out and find the best pieces for the right spot whether for a client’s home shoot or for an editorial shoot. 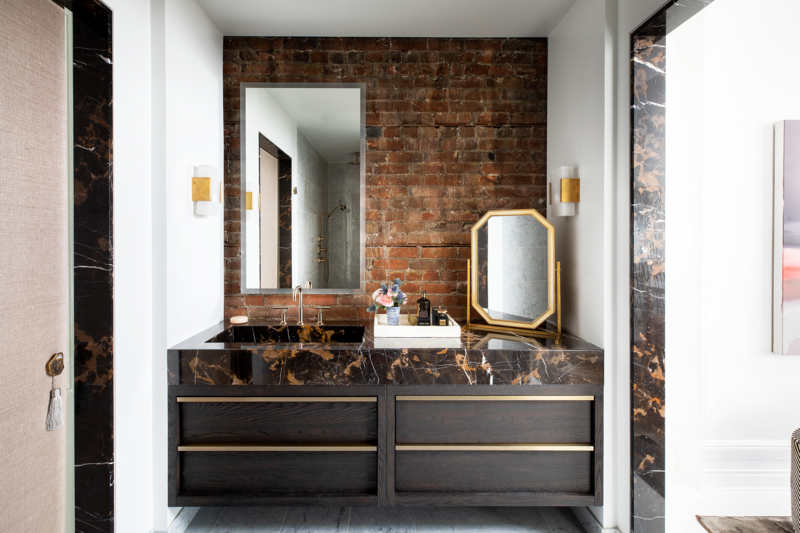 When it is our own home, the curating and search was done in the design process and obsessively done, so when we get to the shoot, I am ready and loving each element in a shot. I don’t need to change anything at that point. In our business, we strongly believe in the integration of small ateliers and artisans for all of our projects. In that same vein, when a shoot comes, we try to place value in some pieces that will put light on the work of these wonderful artists. Making sure they have center stage is of importance and part of the narrative and editing. Then come the flowers and greens: do we want color, scale, simple branches or bold flowers, ornate complex flower arrangement or one simple grouping of peonies thrown in a glass vase? Do we need a wood plank or a bowl of limes on the kitchen island or do we prefer a tray with dishes, do we want a fully set dining table or just a very stark and pure space. These are much easier to answer within a shoot preparation. The last point is paint and retouches, and making sure the house is in pristine condition…there are always a few touch ups to be made. 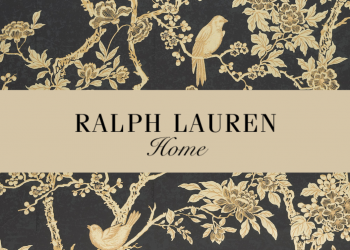 K: In this feature, the focus is on the exceptional artwork in your home. Were all of these pieces of art you already owned or did you purchase them as you were decorating? RO: Most of the pieces were purchased over time and part of our collection, but we always get the bug for new pieces before the shoot comes, which result in another great find and addition to our collection. K: Everyone has a favorite room in their home. Which is yours? RO: My favorite room is the formal living room. I love its atelier feel and furniture aesthetic and position. All elements of this room are some of my favorite pieces. Max’s favorite is the library… only because he loves his books! Not a very strong adage to my decorating. 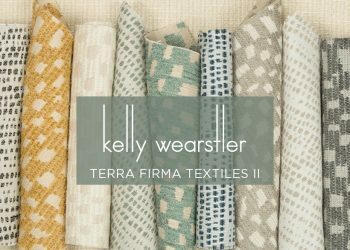 K: How did it feel to see your own fabrics realized in your new home with your own personal design touch? RO: It was exactly what we wanted to portray and give the collection its soul and character through our eyes. There is no better way to capture the collection’s spirit. What was really interesting in this whole Brunschwig & Fils creation process was to come full circle with this old Victorian house and our collection. 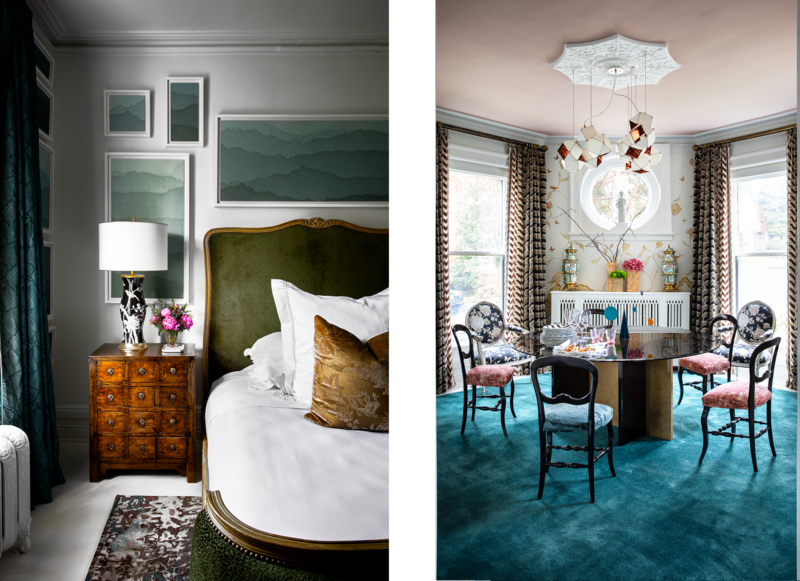 Because we purchased this home one week after being commissioned to create a Brunschwig & Fils fabric collection, we envisioned presenting this incredible life-changing experience of a collection in our home. 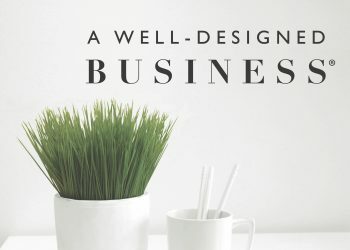 Three years later, the house is fully dressed and jeweled in Brunschwig & Fils and is featured in House Beautiful…what better gift for a designer. All photography by Paul Raeside. Shop Les Ensembliers collection here.